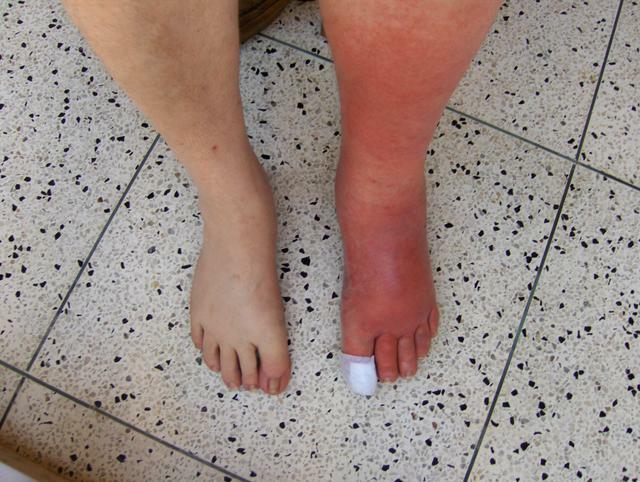 Cellulitis is caused by bacterial infection of the dermis layer of the skin and the deeper subcutaneous tissues. Often the infection is due to a break or puncture to the skin which allows bacteria to enter, however in some cases no obvious break to skin integrity can be located. The most common sites for cellulitis to occur are the legs and face, although cellulitis can cause infection to any area of skin. Typically the presentation is of unilateral leg symptoms following a break to the skin. Cellulitis infections are often minor requiring primary care management, however in elderly patients or those with significant co-morbidities, cellulitis can be of great morbidity and mortality. Necrotizing fasciitis – consider if pain is not being eased by analgesia! !